The occurrence of infectious diseases has grown substantially around the world in recent decades, with dengue alone estimated to affect 390 million people per year. Climate change and poor waste disposal have led to the prevalence of dengue in more than 128 countries, turning it into a global issue. 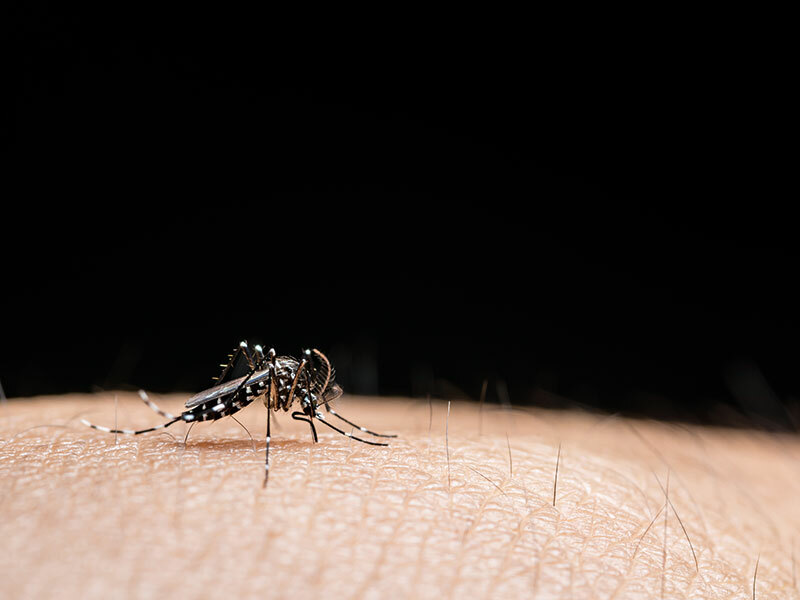 According to the World Health Organisation, more than 40 percent of the world’s population is at risk of contracting the dengue virus in tropical, subtropical and, increasingly, temperate climates. An accurate diagnosis of dengue is of paramount importance when attempting to monitor and treat the disease, as early detection and access to proper medical care lowers the fatality rate to below one percent. Currently, however, physicians do not definitively diagnose dengue in endemic areas. Due to expensive diagnostics, which usually take days to process, patients may not even visit a doctor, resulting in underdiagnosis and the spread of the disease. To prevent this from happening, Copenhagen-based BluSense Diagnostics has developed a versatile point-of-care platform that accurately and affordably diagnoses infectious diseases. BluSense was born when Filippo Bosco, now the company’s CEO, and Marco Donolato, CSO, were working on their doctorates in nanotechnology. Finding academic technological development to be a bit too slow, they aimed to develop more efficient, higher-impact solutions themselves. Bosco and Donolato quickly realised the need for this technology extended to the wider market, and founded BluSense with Robert Burger, the company’s current COO. Having received a European conformity marking, BluSense launched its first diagnostic test for acute dengue fever in 2017 – some three years after the company was conceived. Today, BluSense is working hard to get its product into the hands of those who need it most by structuring sales organisations in South-East Asia and Latin America. Donolato attributes the company’s speedy progress to its united and talented team, which combines creativity with an industry-leading knowledge of medical-device design and development: “The ability of our team members to play multiple roles, especially at the beginning when there were only a few employees, allowed us to be efficient in communication and development.” BluSense now employs 45 people from more than 15 countries, and has set up subsidiaries in Taiwan and Malaysia. Approximately 65 percent of the individuals affected by the dengue virus live in Asia. Naturally, developing a diagnostics product for a market that is geographically very far away can be challenging, especially in terms of clinical testing activities. Fortunately, BluSense’s point-of-care technology is designed with portability in mind. “This [portability] allowed us to travel to endemic areas carrying the devices with us to test, promote and validate the different generations of products,” Bosco told European CEO. Furthermore, emerging markets are constantly focusing on the decentralisation of diagnostics. In other words, they aim to move blood testing from centralised laboratories and put it into the hands of first responders, such as primary health centres. The company’s cloud database and 3G connectivity will ensure that every single device is constantly monitored, allowing BluSense to identify when a BluBox is malfunctioning. Additionally, embedded connectivity will enable geo-timed reporting of confirmed positive cases, providing governments and non-governmental organisations with statistical data to address issues, such as the misreporting of positive cases and outbreaks. BluSense’s technology is compatible with virtually all immunoassays. According to Bosco, this means the same technology could be applied to various diseases by simply engineering nanoparticles in a different way. The firm is currently focused on mosquito-borne diseases, such as dengue, Zika, chikungunya, yellow fever and West Nile virus, but it intends to move on to more ambitious diseases, like dengue hemorrhagic fever or Ebola, in the future.